This spring’s cherry blossom show was truly epic, perhaps even chaotic for many hearts. Bursting blossoms of pink pervaded many a yard and town landscape. Temperature and rainfall seemed to have been cherry-picked to provide for an extended and excellent bloom, even if many of these varieties of trees don’t produce fruit. It is unusual to hear me sing praises of cultivars, since I usually only have eyes for the natives. But, wow, what a show it was. The Vineyard had its very own Sakura. This is the Japanese term for the blooming of cherry trees in the Prunus genus. 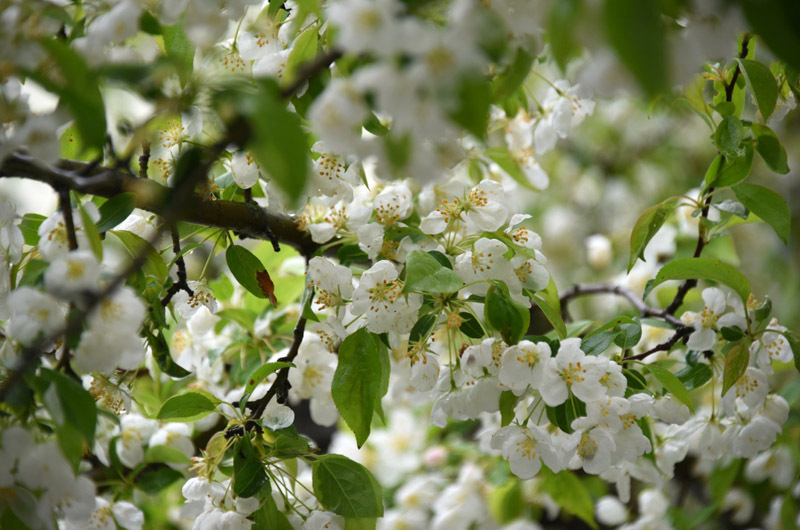 There are many varieties and cultivars in this genus, and some of the better-known ones include the Kwanzan, Yoshino, Akebono, Sargent and Okame cherries, among others. This quote itself is hauntingly beautiful, but also ironic, since Cantu’s life was tragically short. He died at the age of 37. Additional Sakura-inspired symbolisms of cherry blossoms are ephemerality, volatility, a graceful acceptance of destiny and peace. So please take a moment to reflect on these ideas as you encounter these flowers each spring. It was an offering of peace that brought many of the larger showcases of cherry blossoms to this country. In 1912, Japan gave 3,020 cherry blossom trees to the US as a gift to celebrate the two nations’ friendship. These flowers were planted in Sakura Park in Manhattan and in East Potomac Park in Washington D.C.
First Lady Helen Harron Taft herself planted a few of the initial trees, and many other first ladies have been involved in later plantings and celebrations, including Mamie Eisenhower, Betty Ford, Lady Bird Johnson, Laura Bush, Hillary Clinton and Michelle Obama. Another 3,800 trees were gifted in 1965 and the National Cherry Blossom Festival has been celebrating these stunning specimens since at least 1927. Our own local celebration of these flowers is Edgartown’s Pink and Green Weekend. The cherry blossoms are purported to be the pink’s namesake. Gathering under cherry blossom trees is another way to enjoy these fancy flowerings. The Japanese call the centuries-old practice of picnicking under the Sakura “Hanami” and gather for food, drink and companionship to celebrate spring.